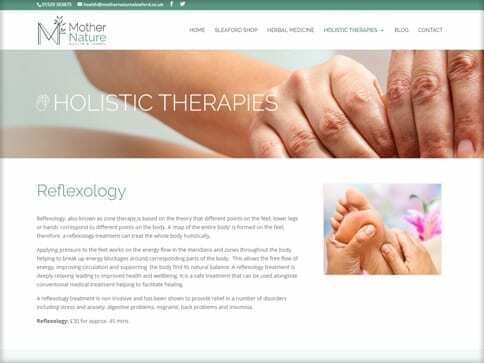 Mother Nature pride themselves on their ability to offer more than herbal medicine, their health shop offers a wide range of products but also gives specialist advice in conjunction with individual customer needs, alongside the holistic therapy treatments they offer. Our client wanted to incorporate a blog page onto the site, as the business revolves around specialist advice and customer interaction. This element allows the client to keep the site updated and topical for visitors. 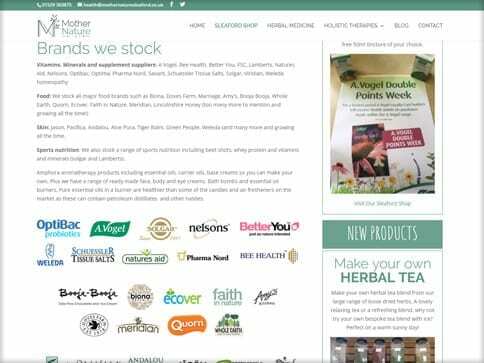 The interactive nature of the business made it vital for us to create an optimised and responsive site that works beautifully across all devices, showcasing the clients brand, business, and beliefs.